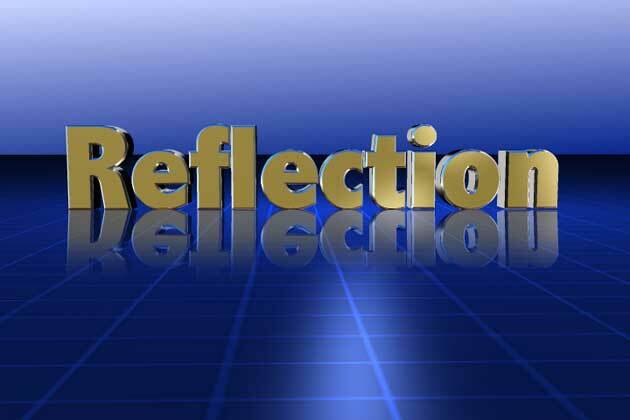 I have intentionally waited a month or so to really reflect on the year that was 2011. In many ways the year was one the hardest I have experienced and in other ways it brought me so much joy. I have grown in ways I never thought possible and I am blessed and excited about what the possibilities of the future may bring. Only a few years ago, I was not so hopeful nor excited for “the future” to get here. God has been good to me and I am very thankful for the people in my life. The years…they seem to be moving quickly now. I have officially seen 50 of them and I’m still amazed at the opportunity to walk with God in His creation. 2011 was a year for change in my life. 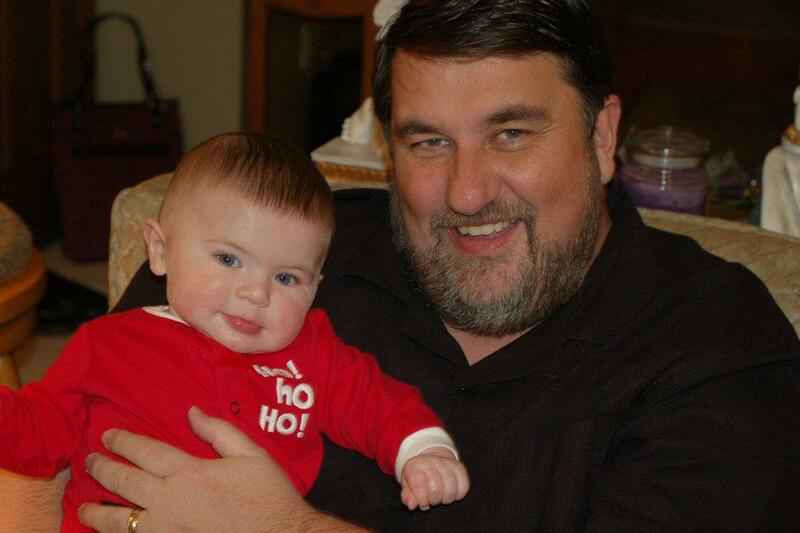 I had the privilege of welcoming my grandson into my life on June 28. I think that he may have helped me to mellow a little bit. I am not completely there yet but I seem to be able to slow down my pace of life and relax a little more. I love the fact that this past year I spent more time with my wife and less time at work. I love my job and my career. I have a wonderful staff that works for me and I am thankful for them. Another aspect of change this year was the fact that all of the kids have graduated and are moving on with their lives. I remember just a few years ago when Crystal, Nathan and Adam were all in High School and it seemed as if we were always running to a volleyball or basketball game somewhere. I was a gym rat because every night we had to be somewhere for a game. Our youngest, Cassidy, is starting her first year in college and she is growing in her independence. We are proud of her and now that the “nest” is getting empty, Pam and I are able to spend more time together and that is a good thing. It was a year of learning. It may end up being experience, but I hope it’s wisdom that I’ve gained. This year I have lost several really good friends, they have gone on ahead of me to glory. I miss them. I know that the reality of life is that more and more of those you know will depart before you do. Today I’m thinking about faces I have lost this year that I will greatly miss. I am blessed. More than I can even describe in words. I don’t have a big house or new car or much in the bank, but I feel more blessed than I can describe. Thank You, Lord. I only have one resolution and that is to eat right. My goal in the new year is to lose a few pounds and eat better. Hopes for the rest of the year? I hope to walk with God in a way that pleases Him. I have no idea where or what that will look like, but I hope and pray I can do just that. I long to get involved again in teaching so we will see if God opens some doors in 2012. Plans for the rest of the year? I plan on being a better husband, a better father and grandfather to my family. I plan on doing more writing and see what doors will open with that. I plan on spending as much time as possible with my wonderful wife and enjoy this thing called “life”. Live well, live for God, enjoy the rest of your year. “Be still and know that I am God” Psalm 46:10. It’s a much quoted verse, but I think that I have missed so much of what it is trying to teach me. 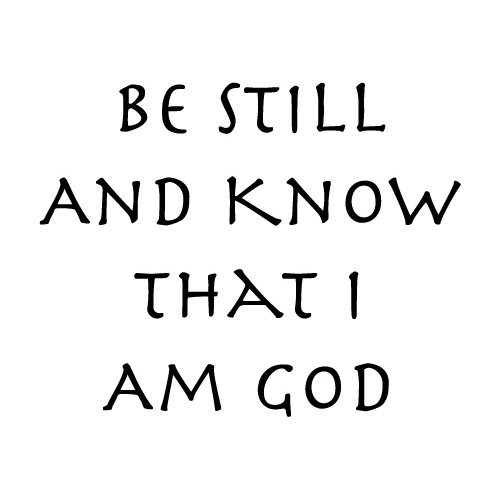 My prayer is that I will fully understand and accept what it means to “Be Still”. Be quiet, stop, rest, don’t move….just pause for a moment and know that I am God. I am God over your joys and over your sorrows. I am God when you are at peace and when you are afraid. I am God when your health is good and even when it isn’t. I am God when you have food and when you don’t. I am God when there is abundance and when there is nothing. I am God when you have a job and when you don’t. I am God when you have hope and even when you think all is lost. I am God over everything. The Lord is God, He is Lord of everything, both good and bad, both smiles and tears. He’s Lord and you can trust Him, He’s got it all under control. So, be still, rest, relax, let down your defenses, exhale, stop worrying, stop trying, stop everything and rest in the Lord who simply wants you to know that HE is LORD.